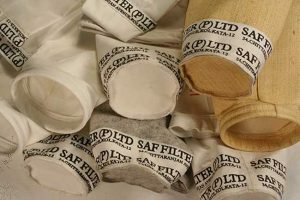 SAF Filters is highly relied upon as a reliable manufacturer and exporter of an extensive assortment of Dust Collector Bags in India. We focus on being a most preferred new technology Dust Collector Bags company and today we are coming up as the top most manufacturers and suppliers of Dust Collector Bags in India. The quality and consistency of our bags has been proven all around that lets us form a critical part of the industry as the fastest growing manufacturers and exporters of Dust Collector Bags. Filtration of toxic Gas with high content of polluting metallic elements. Filtration of corrosive and other chemically active dust. Capture of high value dust such as gold, silver & titanium. Investives to improve plant layout and to manage filtration problems. Undertake dust collector rehabilitation & maintenance engagements.